Home » Gold demand surges; what exactly does the “smart money” know? The past month has brought more evidence that the “smart money” among investors sees dips in the price of gold as a much anticipated buying opportunity rather than a reason to panic and sell. Take, for example, recent reports that the U.S. Mint is poised to break its all-time annual sales record for American Gold Eagle coins. 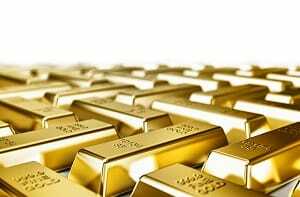 Though October is historically a robust month for gold sales, this surge in gold bullion purchases can be credited to the recent government shutdown and fears about government stability. Recent happenings at the Federal Reserve are also spooking investors on the dollar. The last two FOMC meetings have begun with rumblings that Quantitative Easing could taper but ended with decisions to continue inflationary measures until the economy improves. This is a little like promising to continue the beatings until morale improves. The “smart money” is not seriously wondering when QE will taper… but when it will escalate. Thus, the “smart money” isn’t seeing recent dips in the price of gold as evidence of frothiness; it isn’t rushing out to sell while it can. Instead, it’s holding what gold it has and, if anything, it’s buying more gold at what many consider to be sale prices. And it’s the same story with silver: Due to overwhelming demand, the Mint has announced that it will suspend sales of its 2013 American Silver Eagles in the coming month. Demand is not abating because of a correction in price. The Twitter IPO might have worked that way, stocks might work that way, but things like televisions, furniture and gold coins do not. In fact, when stores cannot keep their shelves stocked in a particular good, they raise the price; simple economics dictates that that is what will eventually happen with gold and other precious metals. Which brings us to the most important point we can make about gold as an investment: Gold behaves differently than other investments, so it is owned for entirely different reasons. Gold is real. 70 million shares of Twitter are imaginary, basically, just a “promise” on a piece of paper. Gold is insurance. It will never be worth zero. Someday, those “promises” for shares of Twitter will be. Put something lasting in your portfolio, that braves the ups and downs of the market, that insures you always have something tangible to fall back on. 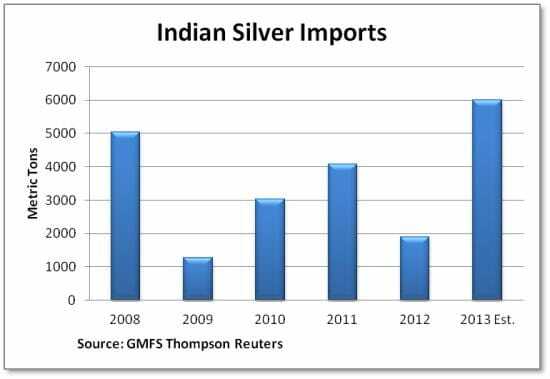 With its government placing strict restrictions on gold imports, Indians are flocking to silver. Some estimates have them taking up all remaining surplus.